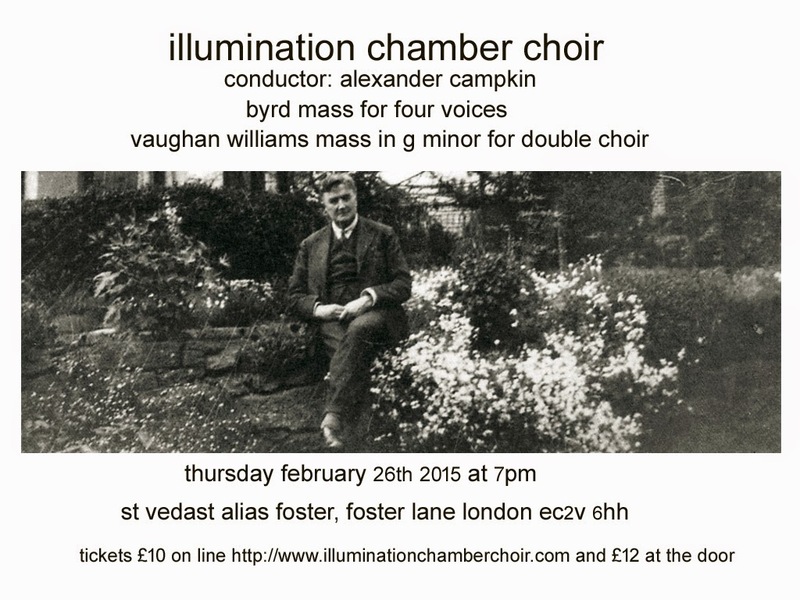 The core of our February concert consisted of two English masses from times of stress. William Byrd's Mass for Four Voices was composed on a small scale in the shadow of Elizabethan persecution; Ralph Vaughan Williams's Mass in G Minor for soloists and double choir followed his severe injuries in World War One. Together with Byrd's beautiful Ave Verum Corpus and Alexander Campkin's haunting Sent from God our programme expresses the English sacred voice across five centuries.